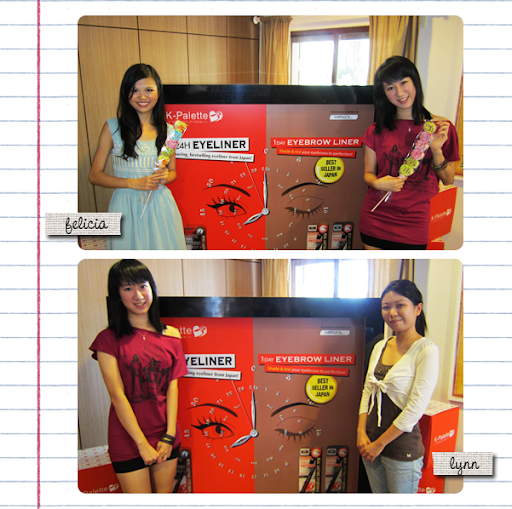 On July 10th, I was invited to K-Palette's Eyes On You Beauty Bloggers' Workshop by The Sample Store. 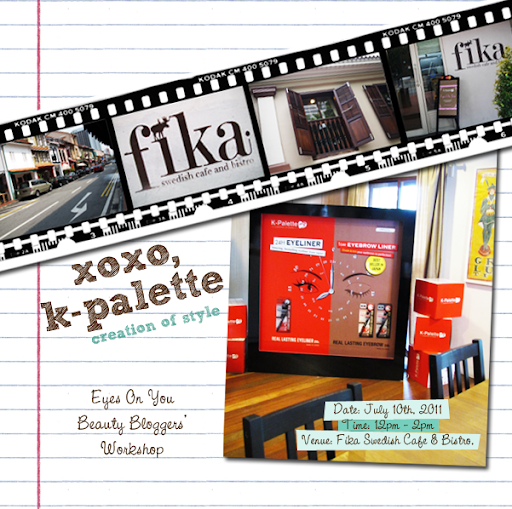 The event was held at Fika - Swedish Café and Bistro. Whimsical and cozy, you and your lovelies can find it on the corner of Beach Road and Arab Street (No. 257 Beach Road/ Arab Street). I have been waiting for this event since I got the invitation in the middle of June! I went with Fel and bumped into Lynn, who just got back from the States! 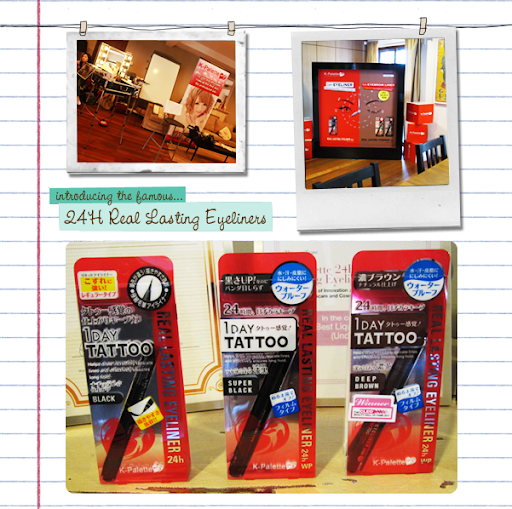 Since I made the switch from pencil eyeliners to liquid ones, the 24H Real Lasting Eyeliner is all that I have been using! 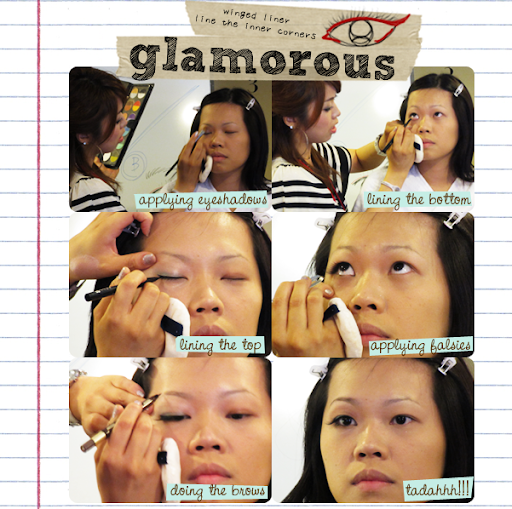 Sharp and thin, I can decide on the thickness of my liner with ease and it doesn't go all flaky on me. 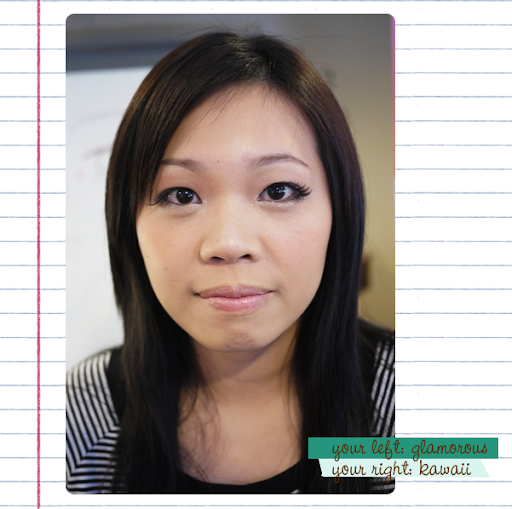 It doesn't smudge on my oily eyelids too, which is the main reason why I ditched pencil and went liquid. 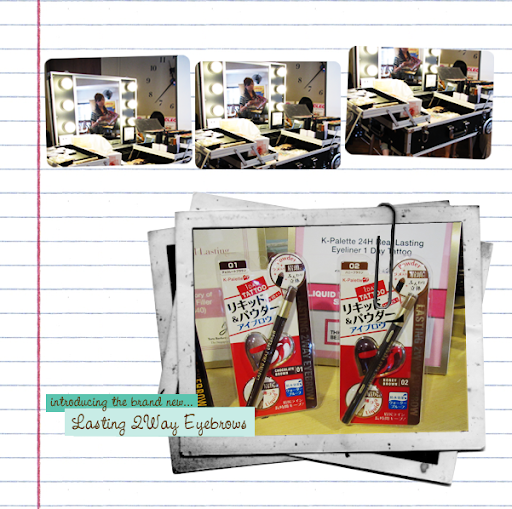 The Lasting 2Way Eyebrow is K-Palette's newest product to hit our shores! There's Mr. Soh in the top picture. He's the head of Japalang. Sharon's the one with the mike and Ariel's the one in the white-dotted dress. 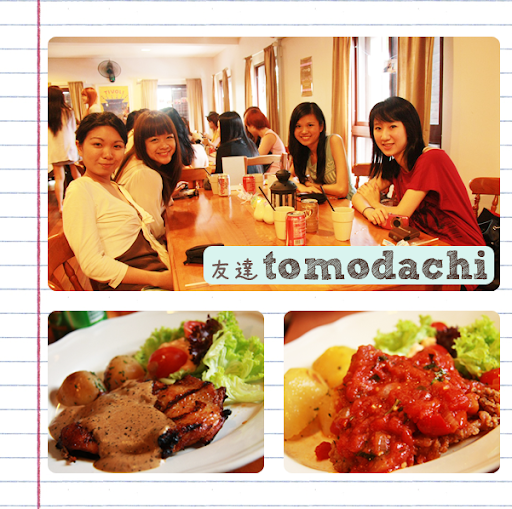 Mariko-san, in the striped tee, was the makeup artist for the day! 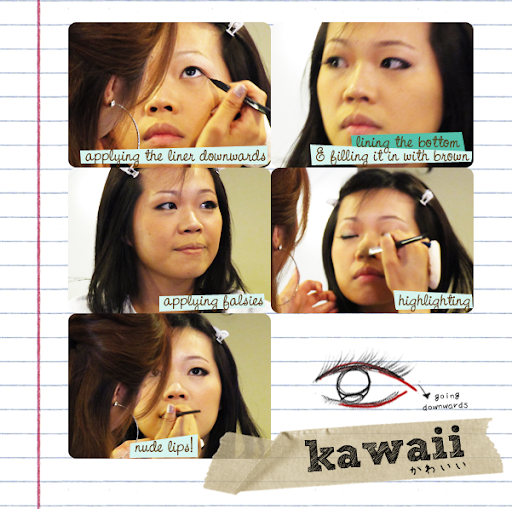 Mariko-san taught us how to do Glamorous and Kawaii looks. Check out my friends Eunice and Mich sporting the 2 looks here! 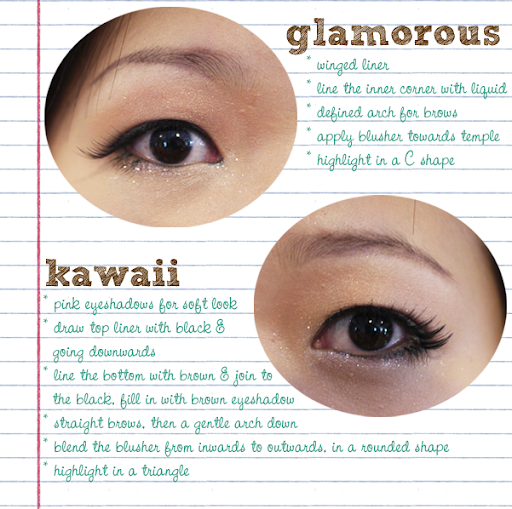 The latest makeup fad in Japan is to draw bottom lashes right at the corner to give your lashes a fuller look (Now you know! )!